With an aim of making a comeback, Nokia has introduced a very strong lineup at the Mobile World Congress 2017. Among its prominent models, Nokia 3 is the entry-level smartphone. As expected, this time Nokia has geared its phones to match the existing competitors in an effective manner. Nokia 3 smartphone will be competing against the competitive lineup of Asus, LeEco, Xiaomi, Samsung, Oppo, and Motorola. Positioned in the entry-level budget smartphones, the Nokia 3 is equipped with a 5.0 inch IPS LCD display with Corning Gorilla Glass protection. The resolution of the display is HD (1280 X 720 pixels) and pixel density is 282 ppi, which is quite decent according to its segment. The phone runs on Android Nougat 7.0 and supports 4G VoLTE. Powering the Nokia 3 is a quad-core Mediatek MT6737 chipset. It is coupled with 2GB RAM and 16 internal storage, which is expandable up to 128 GB through microSD card. Imaging capabilities include an 8 MP camera at the rear and the front with autofocus. Fueling the phone is present a 2650 mAh battery. 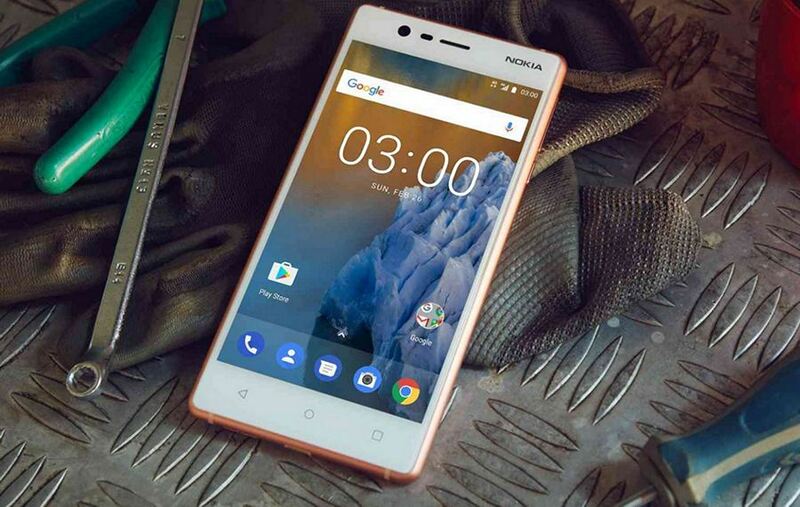 The Nokia 3 also comes with a plenty of sensors which include an accelerometer, gyroscope, proximity sensor, e-compass, ambient light sensor and NFC for sharing. The overall dimensions of the phone measure 143.4 X 71.4 X 8.48 mm. The Nokia 3 is offered in four color options which include Silver White, Matte Black, Tempered Blue and Copper White. The Nokia 3 is revealed with a price tag of approximately Rs 9800 and after the global release of Nokia 3, we can expect it soon in India. Let’s see how this smartphone perform in its respective segment.